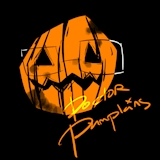 Buy Drpumpkins a Coffee. ko-fi.com/drpumpkins - Ko-fi ❤️ Where creators get paid by fans, with a 'Buy Me a Coffee' button. Halloween fan, game enthusiast and most of all, artist. Please consider donating if you see anything you like! Secured Payments. Support goes to Drpumpkins's account. Help me get through college! Upgrade Drpumpkins to a yearly Gold Membership with a one-time payment.